1. Order : حکم : (noun) (often plural) a command given by a superior (e.g., a military or law enforcement officer) that must be obeyed. The British ships dropped anchor and waited for orders from London. 2. Order, Enjoin, Say, Tell : حکم دینا : (verb) give instructions to or direct somebody to do something with authority. Direct - command with authority. 3. Order : فرمائش کرنا : (verb) make a request for something. 4. Order, Dictate, Prescribe : حکم جاری کرنا - ہدایت دینا : (verb) issue commands or orders for. Bring Down, Impose, Inflict, Visit - impose something unpleasant. 5. Order, Govern, Regularise, Regularize, Regulate : اصولوں کے مطابق بنانا : (verb) bring into conformity with rules or principles or usage; impose regulations. Standardise, Standardize - cause to conform to standard or norm. 6. Order, Orderliness : باترتیبی : (noun) a condition of regular or proper arrangement. He put his desk in order. The machine is now in working order. 7. Order, Decree, Edict, Fiat, Rescript : حکم : (noun) a legally binding command or decision entered on the court record (as if issued by a court or judge). A friend in New Mexico said that the order caused no trouble out there. Act, Enactment - a legal document codifying the result of deliberations of a committee or society or legislative body. 8. Order : ترتیب دینا : (verb) place in a certain order. Arrange, Set Up - put into a proper or systematic order. 9. Order, Purchase Order : فرمائش - درخواست : (noun) a commercial document used to request someone to supply something in return for payment and providing specifications and quantities. IBM received an order for a hundred computers. Indent - an order for goods to be exported or imported. 10. Order, Consecrate, Ordain, Ordinate : مذہبی عہدے پر فائز کرنا - تعینات کرنا : (verb) appoint to a clerical posts. Enthrone, Invest, Vest - provide with power and authority. 11. Order, Club, Gild, Guild, Lodge, Social Club, Society : انجمن - ہم خیال لوگوں کی تنظیم : (noun) a formal association of people with similar interests. Association - a formal organization of people or groups of people. 12. Order, Parliamentary Law, Parliamentary Procedure, Rules Of Order : پارلیمانی طریق کار : (noun) a body of rules followed by an assembly. Prescript, Rule - prescribed guide for conduct or action. 13. 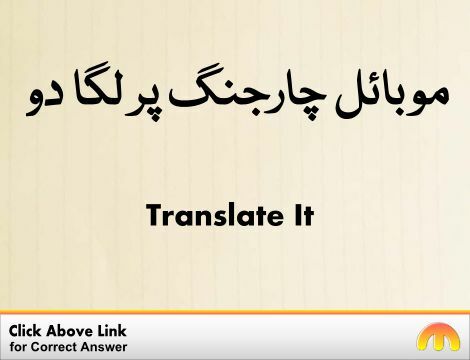 Order, Grade, Place, Range, Rank, Rate : درجہ بندی کرنا - درجہ دینا : (verb) assign a rank or rating to. 14. Order, Holy Order : پادریوں کی درجہ بندی : (noun) (usually plural) the status or rank or office of a Christian clergyman in an ecclesiastical hierarchy. Theologians still disagree over whether `bishop` should or should not be a separate Order. Acolyte - someone who assists a priest or minister in a liturgical service; a cleric ordained in the highest of the minor orders in the Roman Catholic Church but not in the Anglican Church or the Eastern Orthodox Churches. 15. Order, Ordering : ترتیب : (noun) the act of putting things in a sequential arrangement. There were mistakes in the ordering of items on the list. Enforcement : نفاذ : the act of enforcing; ensuring observance of or obedience to. Order Anseriformes : بطخ اور ہنس کی قسم کے پرندے : ducks; geese; swans; screamers. Orchestrate : منصوبہ بندی کرنا : plan and direct (a complex undertaking). How this page explains Order ? It helps you understand the word Order with comprehensive detail, no other web page in our knowledge can explain Order better than this page. 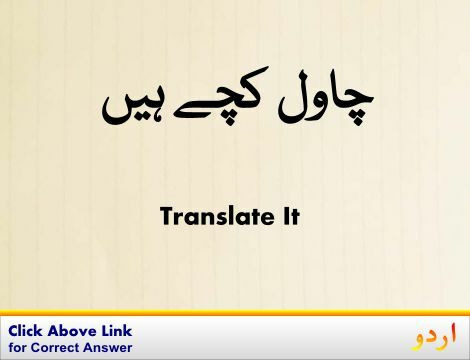 The page not only provides Urdu meaning of Order but also gives extensive definition in English language. The definition of Order is followed by practically usable example sentences which allow you to construct you own sentences based on it. You can also find multiple synonyms or similar words on the right of Order. All of this may seem less if you are unable to learn exact pronunciation of Order, so we have embedded mp3 recording of native Englishman, simply click on speaker icon and listen how English speaking people pronounce Order. We hope this page has helped you understand Order in detail, if you find any mistake on this page, please keep in mind that no human being can be perfect.